Organic bag gardens use a similar process to keyhole gardens. 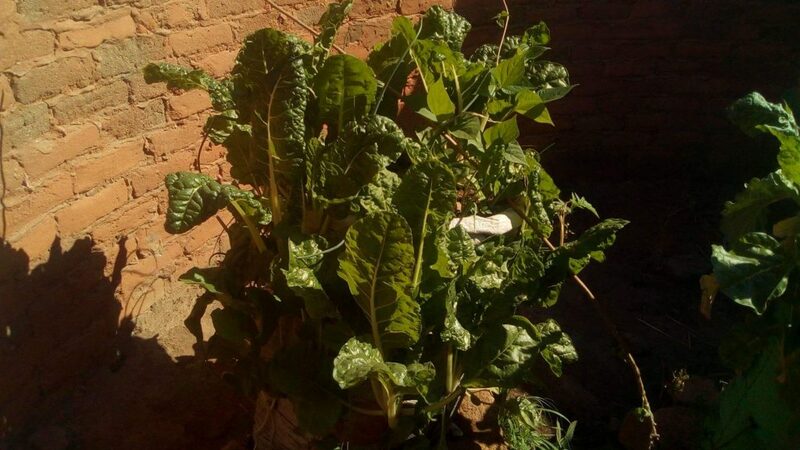 They are a way to grow vegetables with little water in a small space. Get a thick, large, strong bag that can be used to hole the garden. Place stones at the bottom of the bag and in the centre of it. Build layers of straw, twigs, manure, green leaves and soil around the stones to create an organic fertiliser. Cut holes around the bag to enable plants to be planted. Plant the vegetables (Spinach, onion, cabbage, Kale, and lettuce) around the edge of the bag. Vegetables such as potatoes and tomatoes can be planted in the top of the bag but not around the outside. This technique allows the plants to grow up the bag, therefore, eventually the bag will no longer be visible. The individual using the bag can cut the vegetables when they wish to eat them and then they will regrow. 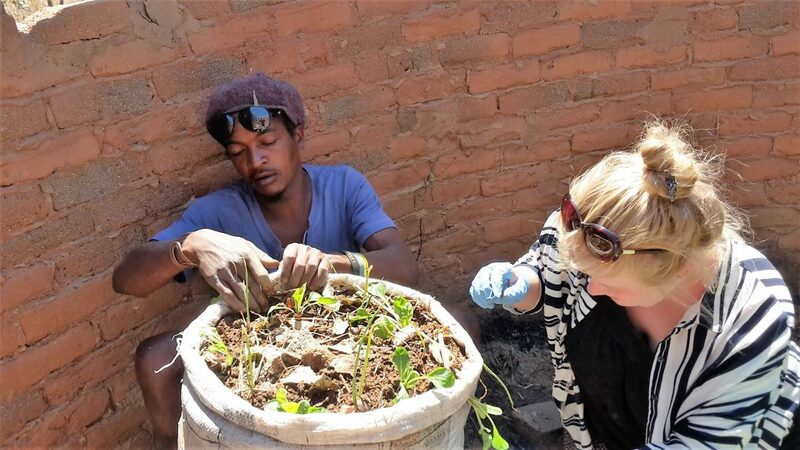 Trustee Lucinda Walker and a village member planting crops in an Organic Bag Garden. Here are pictures of an Organic Bag Garden a few months after being planted. 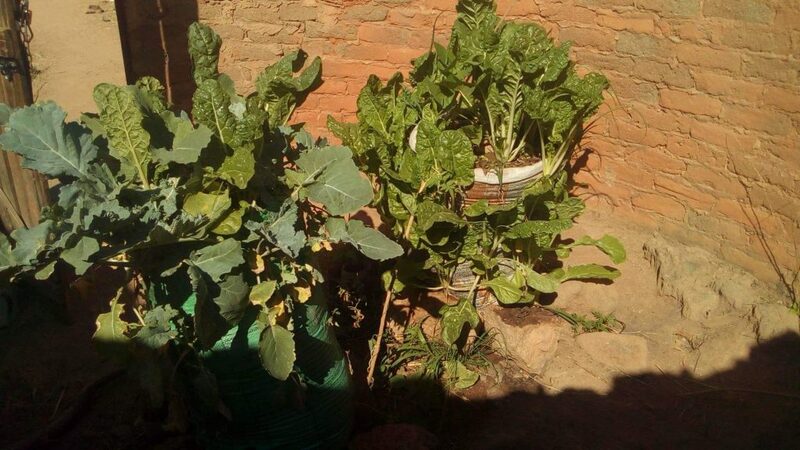 The two images above illustrate that the Organic Bag Gardens are very successful in dry conditions. They do not take up much room so they are great to have in small areas.